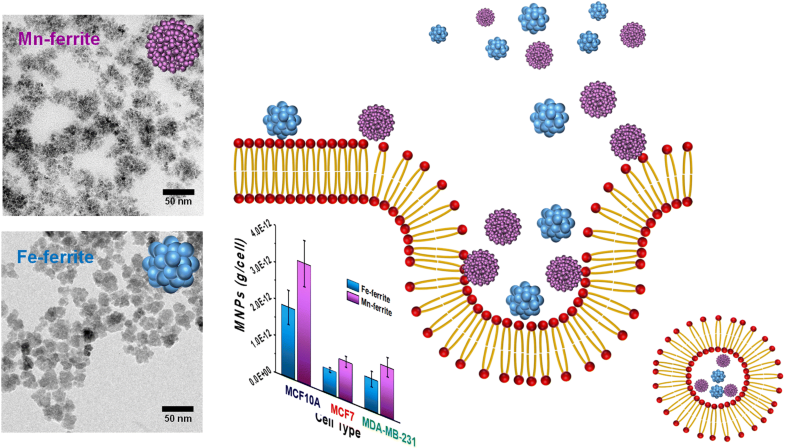 Due to their ability to be internalized into cells by endocytosis through cell membranes, the application of nanoparticles in therapeutic and diagnostic fields has received much interest. In particular, ferrite magnetic nanoparticles (MNPs) are widely used as reagents for medical care, including in vitro magnetic separation, T2-weighted magnetic resonance imaging, magnetic hyperthermia therapy, and as drug delivery systems. However, little is known about the quantitative analysis of the cellular uptake of MNPs by the interaction of particle surfaces with biomolecules. 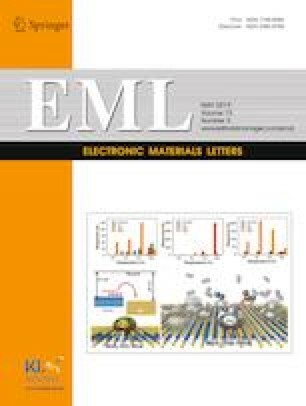 Here, we quantitatively analyze the intracellular uptakes of 30 nm Fe- and Mn-ferrite MNPs. We confirm that the magnetic properties of MNPs change according to their microstructure and quantitatively analyze nanoparticle internalization in breast cell lines (MCF10A, MCF7, and MDA-MB-231) by measuring the magnetic moment using a vibrating sample magnetometer. Finally, we examine the effect of nanoparticle microstructure on cellular uptake in terms of the interaction between the nanoparticles and biomolecules. Yu Jin Kim and Bum Chul Park have contributed equally to this work. This work was supported through the National Research Foundation of Korea funded by the Ministry of Science and ICT (2014M3A7B4052193, 2019R1A2C3006587), and by the Ministry of Trade, Industry and Energy of Korea under Industrial Technology Innovation Program (10080408). Y.J.K. received financial support from the Basic Science Research Program through the National Research Foundation of Korea funded by the Ministry of Education (2017R1D1A1B03036100).